Please join this FREE Parent/Community Night! 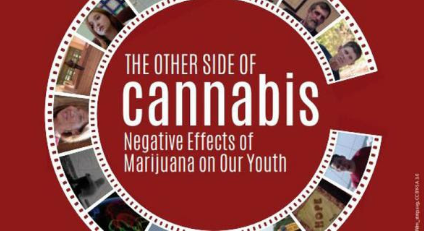 We will watch and discuss the documentary “The Other Side of Cannabis” that shows the impact of the current high THC marijuana on mental health, especially for young people. This documentary shows information that has not been published otherwise and you will hear from experts around the country and what they are seeing as brand new developments around marijuana that we have not seen before the current high THC marijuana products. If you want to be updated on what is happening in Colorado around the new marijuana products and their impacts especially on mental health please join and bring your whole family so you can continue the conversation afterwards. Feel free to share this invitation and the attached flyer with anyone who you think might benefit. Everyone is welcome to attend – parents, teens, adults, etc. We will have a Creative Market hosted by Natural Highs teens with gifts, handmade items, CDs, and a Yerba Mate & Herb Bar with healthy alternatives to marijuana. Please bring some cash and support young people’s creativity, art & businesses.